The Vermont Fish & Wildlife Board voted on the Fish & Wildlife Department’s 2018 antlerless deer hunting proposal on April 25. Public hearings will be held May 8 in Rutland and May 10 in South Burlington to recap the results of the 2017 deer seasons and review the antlerless proposal. The December muzzleloader season would have 27,000 antlerless permits, which would result in about 3,914 antlerless deer being taken. Previous hearings reviewing the 2017 deer hunting seasons were held in Montpelier, Windsor and Orleans. Learning how to properly prepare the fish you catch for the table is easiest when you can watch someone else do it well. Two upcoming seminars presented by the Vermont Fish & Wildlife Department are designed to show how it’s done. 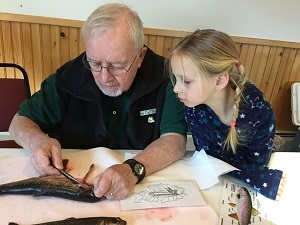 May 23-24: The Vermont Fish & Wildlife Department is presenting a two-day “Introduction to Fishing and Fish Processing” seminar at the Intervale Center, 180 Intervale Road, Burlington, VT, 05401. Fishing basics will be taught Wednesday, May 23 from 5:00 to 7:30 p.m. Fishing regulations, knot tying, aquatic ecology, and casting will be covered, and participants will have the opportunity to fish in the nearby Winooski River. The next day, Thursday, May 24, participants will learn how to clean, fillet and cook fresh Vermont fish. Participants are expected to attend both sessions. MONTPELIER, Vt. -- The Vermont Fish & Wildlife Department is looking for volunteers to join Friends of the Green Mountain Conservation Camp Program for fun-filled weekends to get the camps ready for the 2018 season. This year, the GMCC Kehoe “workcation” weekend will be May 12-13 and the GMCC Buck Lake workcation weekend will be May 19-20. The Vermont Fish & Wildlife Department is announcing that the Dead Creek Visitor Center in Addison, Vermont, will be opening for the season on Friday, May 11. 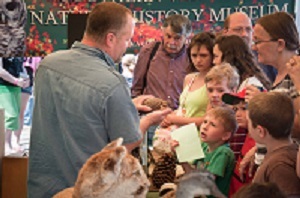 The visitor center will be open Fridays through Sundays from 9 a.m. to 4 p.m. through August and will offer a variety of free programs for all ages throughout the spring and summer. Hours will be expanded in the fall. 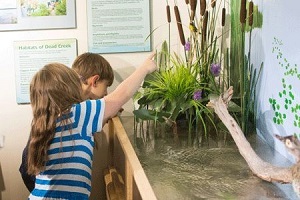 The Dead Creek Visitor Center opened in 2017 and is a new educational facility featuring displays highlighting the history of Dead Creek and conservation, fish and wildlife management, conservation partnerships, habitat features, and the many species –particularly birds– that live in the region. 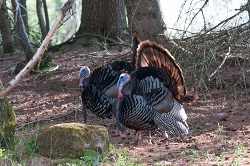 Hunting safely during turkey season is easy if you follow tips issued by the Vermont Fish & Wildlife Department. 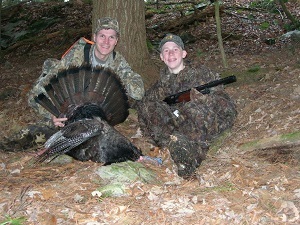 Vermont’s spring youth turkey hunting weekend is April 28 and 29, and the regular spring turkey season is May 1-31. 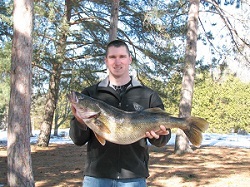 Fishing is a great way to enjoy the outdoors with friends and family. Many anglers remember their first fishing experience with a parent or mentor who taught them the basics and gave them the opportunity to catch fish. That opportunity is now being replicated across Vermont through several programs that are specifically designed to teach beginners how to fish. 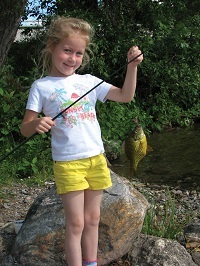 One of the most popular programs is “Let’s Go Fishing” (LGF), administered by Vermont Fish & Wildlife. It is a network of certified volunteer instructors who encourage and teach Vermonters of all ages and abilities how to fish. Instructors teach fishing skills and techniques, the importance of good aquatic habitat, fishing ethics, and fishing regulations. Clinics are always free and open to all ages. 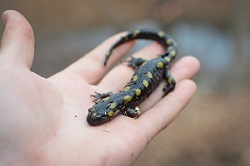 MIDDLEBURY, Vt. – Vermonters of all ages are invited to attend a presentation about Vermont’s wildlife in a changing climate on Tuesday, May 15, at 7:00 p.m. 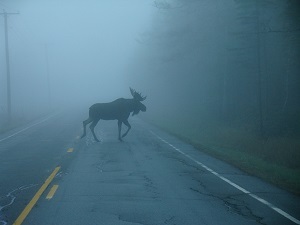 The presentation organized by Vermont Coverts: Woodlands for Wildlife will be given at the Ilsley Public Library at 75 Main St. in Middlebury, VT. Tom Rogers will be presenting at the event. Rogers is a biologist who has worked on a variety of conservation projects, researching zebras in Kenya, golden-winged warblers in New York, sage grouse and bald eagles in Wyoming, and grizzly bears in Montana. 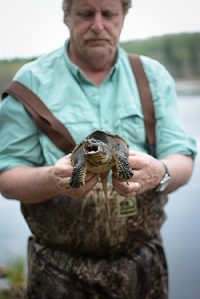 Tom currently works in outreach for the Vermont Fish & Wildlife Department, connecting the public with fish and wildlife through writing, speaking, and photography. Hunters submitted 2,808 teeth from the bucks they took during the November rifle deer season. 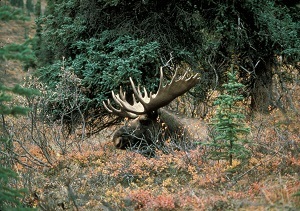 Combined with the 1,207 deer examined by biologists at reporting stations during the youth and rifle seasons, biologists were able to get accurate ages for 4,015 deer. 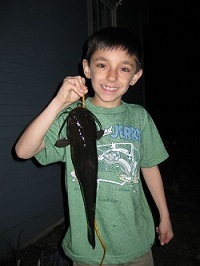 The Vermont Fish & Wildlife Department’s “Let’s Go Fishing Program” is offering an introduction to bullhead fishing clinic at the Dead Creek Wildlife Management Area in Addison on Friday, April 13. This introductory course will include basic techniques for targeting bullhead with live bait, casting basics, knot tying, filleting, aquatic ecology, and biology.